But why are the poor, those without much worldly goods and money, apparently much more receptive to the Word of God? In the Lord’s final message of Elijah, the poor ones greatly exceed the comfortable or well to do ones. In fact the minorities (Blacks, Hispanics, Filipino, etc.) make up probably 80-90% of the Davidian Seventh-day Adventists. Our Lord set the example, not even owning His own home and relying on others to spend the night in rest. The example is clear–often money and worldly comforts stymie our desire for a close and needful relation with our maker. Too many distractions and the need to be spiritually uplifted is diminished or not seen as important enough. Let’s face it, we here in the USA have so many comforts. Usually a nice home, nice car, nice TV and other electronics, etc. Our time is often spent on things of this world. “It is a well-known fact that as a rule the most learned men are the most hesitant to accept the gospel of Christ, and among the last in keeping pace with the Truth. In this respect more than in any applies the saying, “Blessed be ye poor: for yours is the kingdom of God.” Luke 6:20. Is it a sin to be wealthy? Of course not, yet how hard it is to fight an uphill battle with all the temptations surrounding such ones. 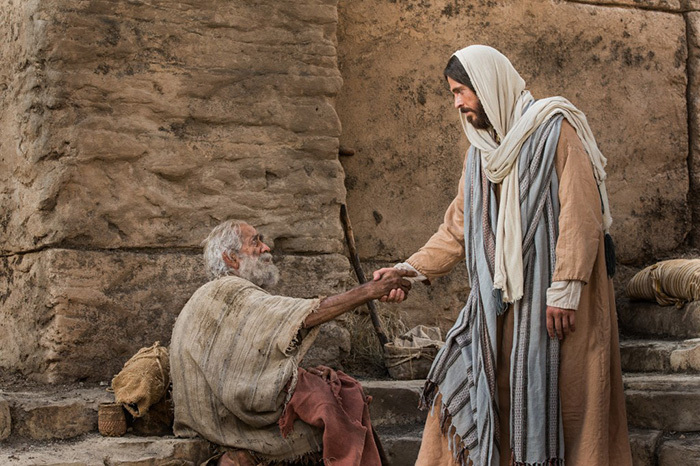 We all remember Jesus’ solemn words to the rich man. But how will the faithful poor today live in the soon to be kingdom set up in Israel? “Lift up thine eyes round about, and see all they gather themselves together, they come to thee: thy sons shall come from far, and thy daughters shall be nursed at thy side. Then thou shalt see, and flow together, and thine heart shall fear, and be enlarged; because the abundance of the sea shall be converted unto thee, the wealth of the Gentiles shall come unto thee. In closing, it becomes clear that the poor are more susceptible to the Word of God. Maybe it’s because they have very little now and can dream much more about the riches of the Kingdom. The wealthy and comfortable have their luxury and needs met and often aren’t interested in dreaming about a future kingdom. Yet that kingdom is just about to come in the sight of both wealthy and poor. This entry was posted on November 25, 2017 at 4:19 am and is filed under Humility. You can follow any responses to this entry through the RSS 2.0 feed. You can leave a response, or trackback from your own site.